Getting a new little pet is always exciting, but it's the right kind of care that will keep your new furry friend happy and healthy for life. 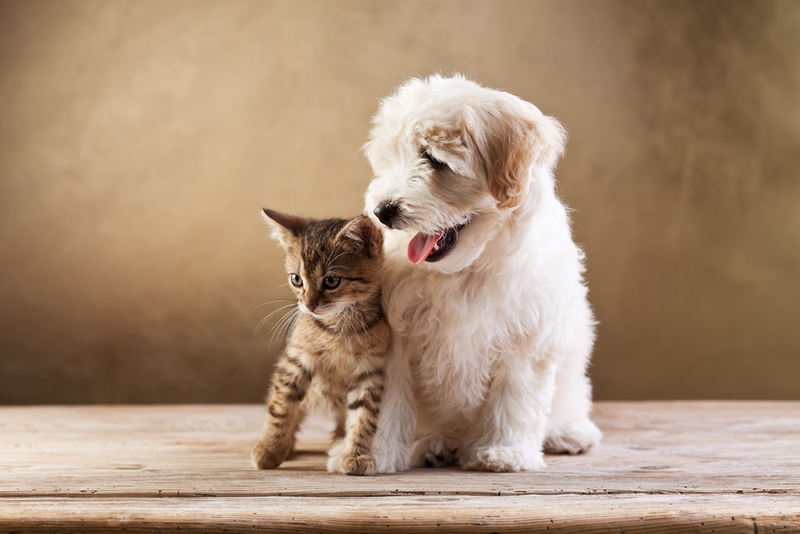 At Pleasant View Veterinary Clinic in Lewistown and Juniata Veterinary Clinic in Mifflintown, we encourage all future pet owners to find out about pet care before they bring new little animals into their homes. Just like with humans, small dogs and cats need special equipment and treatment, as well as veterinary visits to care for their health. Start your pet off right and they will be a loving member of your family for a decade or more. Even if you grew up always having pets, kitten or puppy care may be a little different from what you remember. Before you bring your new pet home, make sure you've got all the right equipment handy to make their transition a smooth one. Appropriately sized toys and bedding: Ensure that the pet’s belongings are the correct size for them. Make their bedding, collar, food and water dishes and other belongings appropriate for small bodies. You can always buy bigger ones later, and only give them one or two toys to start, tempting as it is to collect a basket full. We like to see all our new patients as early as possible, ideally around eight weeks of age. We'll do a health assessment to see how your pet is doing, then begin a series of juvenile vaccinations to help with disease immunity. We recommend that all pets be spayed or neutered in their first six months, and offer microchipping for the peace of mind of all pet owners. Our veterinarians will schedule an additional three puppy or kitten care visits during your pet's first year to complete the series of vaccinations, and to make sure they’re growing well with no overall health problems. To keep your new puppy or kitten healthy, you must provide high-quality veterinary care throughout their life. When you decide to add a new member to your family, give the team at Pleasant View Veterinary Clinic, or Juniata Veterinary Clinic a call to arrange her first appointment. Contact our Lewistown office at (717) 248-4703 or our Mifflintown office at (717) 436-9790 to schedule a visit today.